Nathan Lynch creates objects that speak to the psychological and social constructions that we engage to assert our power, showing the thinly veiled dark side of these traditions, exposing their hypocrisy, humor and desperation. 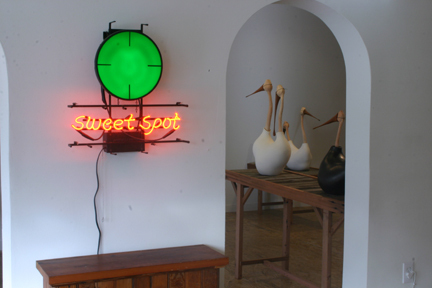 “Everything’s Going South” includes two related installations, The Trophy Room and The Shooting Gallery. 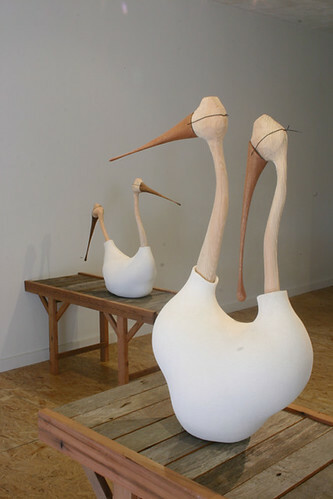 In the Shooting Gallery three series of birds sit atop long platforms that reference docks, runways and conveyor belts. 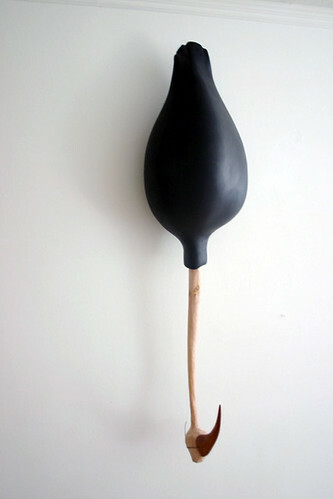 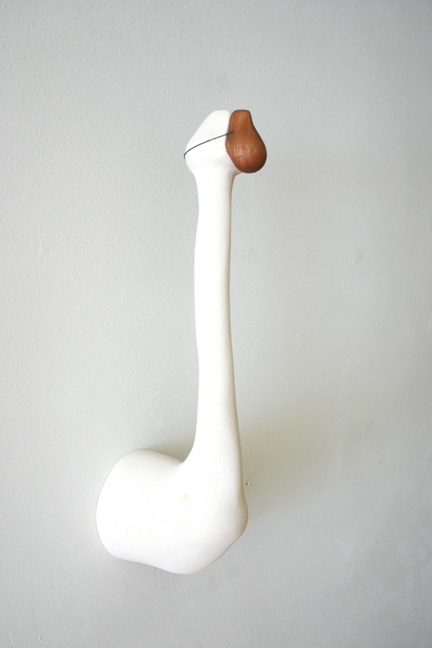 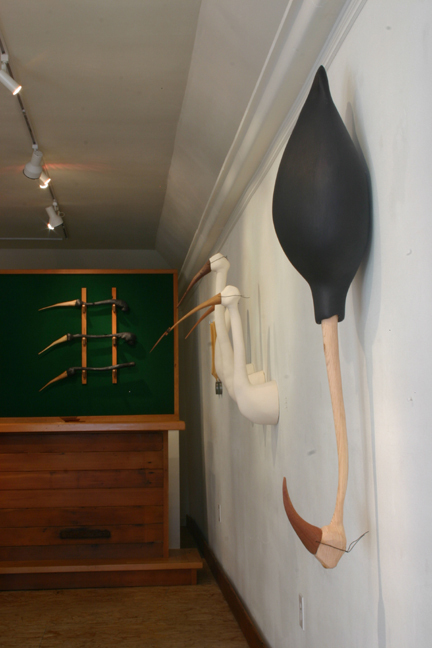 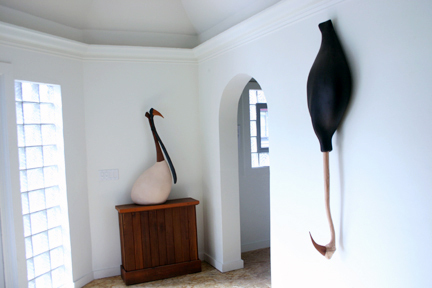 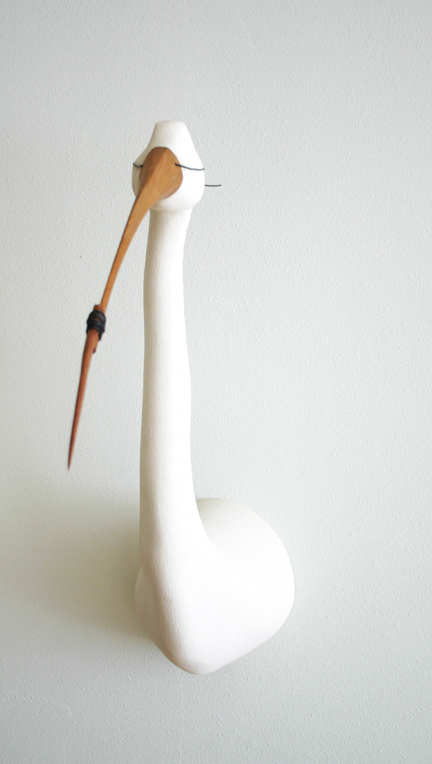 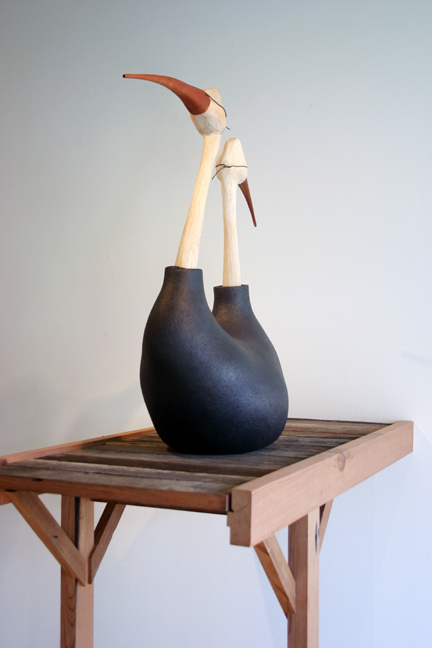 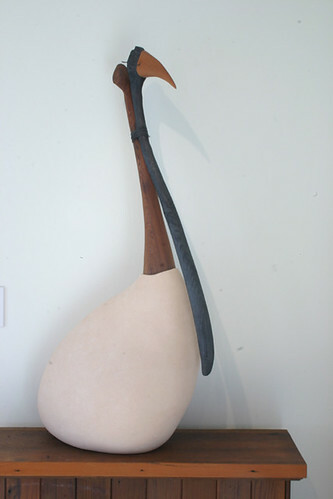 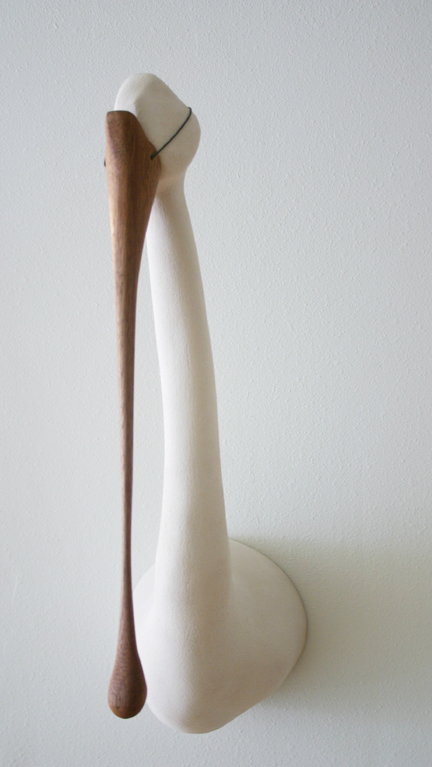 Each ceramic and wood fowl sports a strap-on beak, mutely trying to disguise themselves as a bird of another kind. 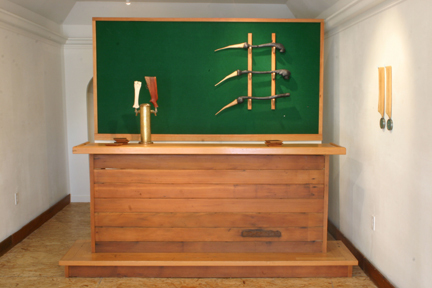 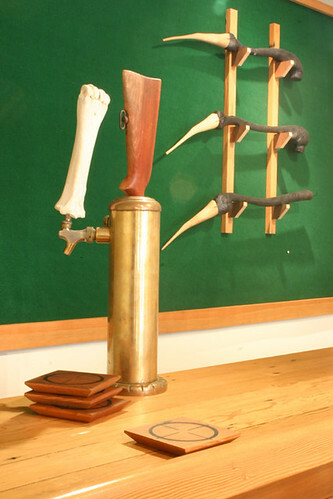 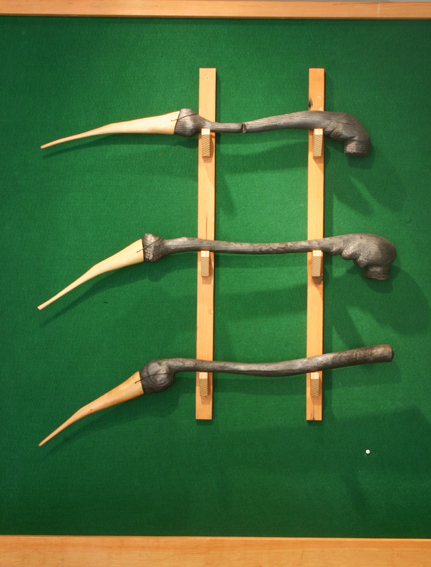 In Trophy Room, Lynch treats the setting of a sportsman’s trophy room with a mixture of parody, respect and scolding playfulness. 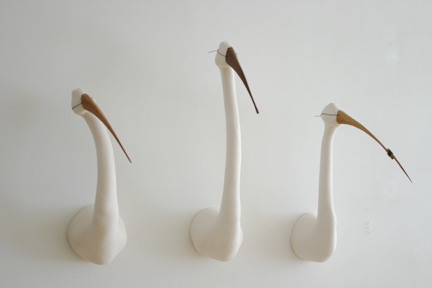 By recasting ideas of ownership and competition, he reexamines the question of what people put on their walls and why. 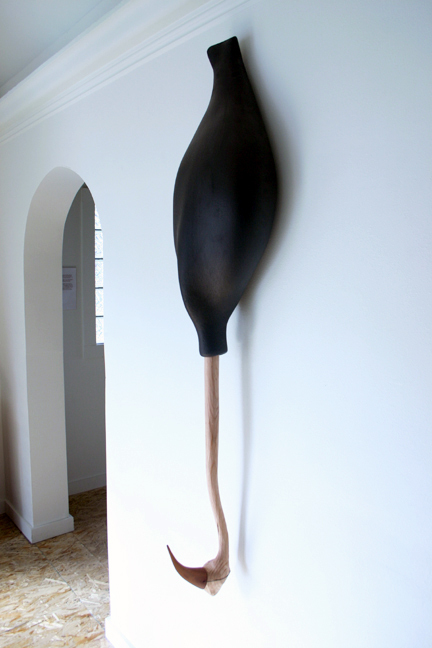 Lynch holds a BFA from the University of Southern California and an MFA from Mills College. 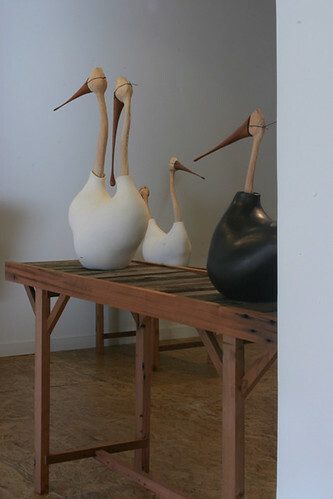 He is currently Chair of the Ceramics Department and Assistant Professor at California College of the Arts. 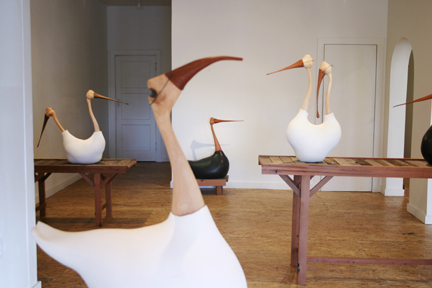 Installation view: "Drafting for Twins" and "Migration Patterns"
Nathan Lynch "Run out of Reverse"
Nathan Lynch "Legislative, Executive, Judicial"
Nathan Lynch "Hall o' Fairness"
Nathan Lynch "Hall o' Fairness: Catherine"
Nathan Lynch "Hall o' Fairness: Charles"
Nathan Lynch "Coalition of the Willing"